MV Agusta still hasn’t released any official details about the F4Z, saving that information for Sept. 4. 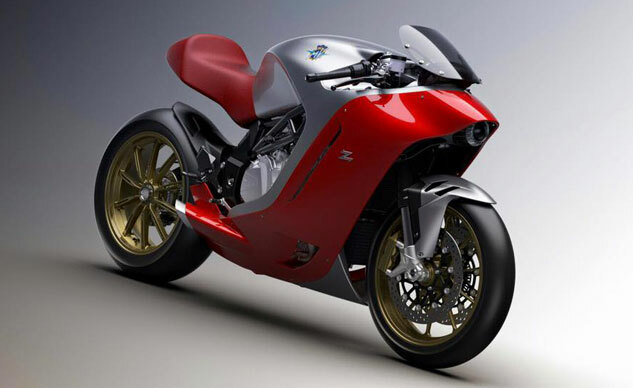 From its name, we know the bike is based on the F4 but with significantly different styling courtesy of Zagato. We assume the F4Z is a one-off creation but what is unclear is if it offers hints at an updated F4. Among the most notable changes for the F4Z is the underslung exhaust replacing the F4’s signature undertail organ pipe exhaust. Recent industry trends have the exhausts mounted low, and MV has already followed this pattern with the rest of its lineup. We’ll have more information when it’s released on Sept. 4 (unless MV Agusta decides to release yet another teaser in the next week).